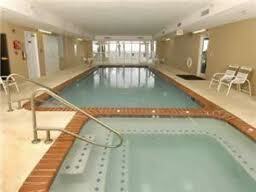 This condominium has a heated indoor pool and spa as well as an outdoor pool and spa, both overlooking the ocean. 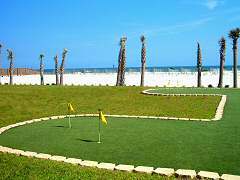 There is a Gulf-front putting green at Regency Isle that is perfect for a relaxing day practicing with family before heading to one of the area's many golf courses. Fishing in Orange Beach is a favorite pastime for both guests and Orange Beach residents and nothing quite beats cooking up your latest catch for a picnic on the beach. At Regency Isle, there is a large gazebo with gas grills and seating so you can grill up your latest catch or some burgers and hot dogs from the nearby grocery store. With the beach only steps away, morning jogs along the coast are perfect for sightseeing while you keep in shape, but for the occasional rainy day there is an onsite fitness center with a number of machines for guests and residents to use. Regency Isle offers the amenities needed for off-season rentals and is comfortable ensuring repeat bookings. Guests at Regency Isle typically praise it for how clean the units are and its convenient proximity to Flora-Bama. Regency Isle is a popular choice for vacationers all year long, making it an ideal investment property. This condominium has a great reputation among former guests and continues to lure new guests in every year, so if you're looking for the perfect investment property on Alabama's Gulf Coast, this is it. Of course, Regency Isle also makes a great second home or even a primary residence due to its convenient location to several large cities, such as Pensacola and Mobile, AL. Looking for a more comprehensive collection of condos for sale in Orange Beach, AL? Our primary sales page offers detailed info for every building in the entire city, including gulf-front, bay-front, river-front and all other condos, like those with beach access or partial gulf views. Also, filter Orange Beach condos with price or use our map search to browse for condos using location and easily separate Orange Beach condos with boat slips. For more info on Regency Isle or other Orange Beach and area condos and real estate info, please email info@condoinvestment.com or by calling 251-Area-Pro (251-273-2776) for immediate assistance. 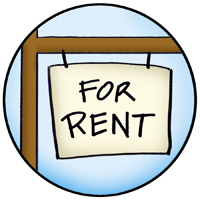 Click here for tips to increase your Regency Isle rental revenue. Annual rental income for Regency Isle and all other condos. The Orange Beach, AL condos below are similar to Regency Isle in cost per square foot, size, rental production, amenities, construction, age and location. These are the best income producing, gulf front condominiums in Orange Beach. 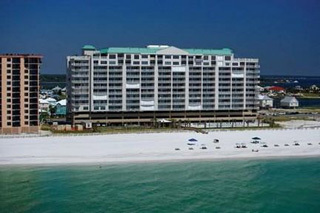 Turquoise Place is the new benchmark for luxury accommodations on the Gulf of Mexico in Orange Beach, AL. Check out our Turquoise Place sales page for images, amenity lists and other helpful info. Click here for more images, maps, info and current Turquoise Place condos for sale. Phoenix West is one of the most recent gulf front Phoenix developments and offers large floor plans, convenient location and a wonderful amenity package. Click here for more images, maps, info and current Phoenix West condos for sale. Caribe Resort is not directly on the Gulf of Mexico, but sits on a narrow area of the island allowing for deep water access from Caribe's marina which is at the base of Perdido Pass. Shuttles offer rides to Caribe's deeded beach area on the gulf. Caribe offers the best of both worlds for those who love being on the water. Click here for more images, maps, info and current Caribe Resort condos for sale. 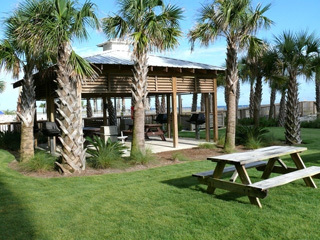 Admiral's Quarters is the new benchmark for luxury accommodations on the Gulf of Mexico in Orange Beach, AL. Check out our Turquoise Place sales page for images, amenity lists and other helpful info. Click here for more images, maps, info and current Turquoise Place condos for sale. Phoenix condos litter the AL Gulf Coast ranging from the West Beach area of Gulf Shores, AL to Florida. Also, while the Phoenix condo family is primarily directly on the Gulf of Mexico, there are two developments on the bay; view info on our Phoenix condo sales page. Click here for more images, maps, info and current Phoenix condos for sale.